Frenchman Jean-Marc Mormeck have left his position as mandatory challenger for EBU heavyweight champ Alexander Dimitrenko for a world title shot against Wladimir Klitschko. Now, the Nordic Nightmare, Robert Helenius is in the position as mandatory challenger for Dimitrenko. The EBU have set October 31 as deadline for purse offers. A Dimitrenko vs Helenius fight is effectively also a world title eliminator and an exciting matchup. 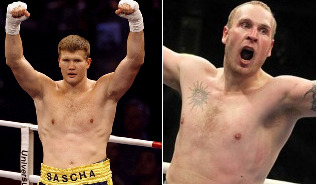 It´s rumored but not confirmed that Dimitrenko already have an offer to fight Helenius in Helsinki December 3.